This week, NASA announced its newest class of astronauts. Out of a record setting 18,300 applicants, 12 people were selected to be members of the new class of space travelers. They’ll train for the next two years before becoming full fledged astronauts, performing missions and going into space. Among the 12 amazingly qualified women and men chosen is Dr. Frank Rubio, a Salvadoran-American, born in Los Angeles and raised in Miami. Dr. Rubio is not only a Major in the U.S. Army, having flown over 1,100 hours as a Blackhawk Helicopter pilot (including 600 hours of combat), the man is also a surgeon. Can you even get more qualified than that? He’s also a member of the very exclusive group of Latino astronauts at NASA. Dr. Francisco “Frank” Rubio was announced as one of the members of the newest class of NASA astronaut candidates. 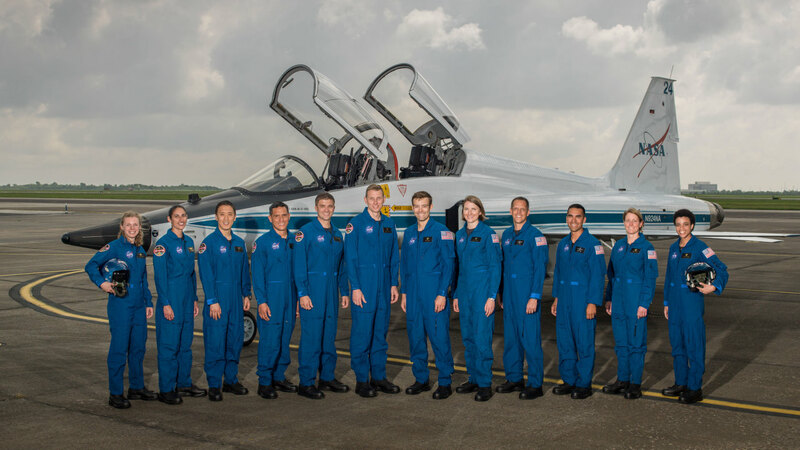 The introduction to all 12 new astronauts was made at the Johnson Space Center in Houston, TX. Vice President Mike Pence was on hand to give remarks about the new astronauts. “You are the 12 that made it through. You have joined the elites. You are the best of us,” said Vice President Pence. After the pomp and circumstance, the crew got together to bond and take a couple selfies. From the Instagram caption on this photo, these astronauts could end up working at the International Space Station, launching on spaceships created by commercial companies or going into deep space missions on NASA’s Orion spacecraft and Space Launch System rocket. We can’t wait to see what Dr. Rubio and the new class will accomplish in space! But how do I get one of those blue suits though? ? The end of any school year is supposed to be filled with an immense feeling of accomplishment — and for high school seniors, that emotion is often magnified by memorable moments that last a life time, including prom and graduation. Diego Ismael Puma Macancela, a 19-year-old from Ecuador, was robbed of that because of his undocumented status. On June 8, just one day after Diego’s mother was detained by U.S. Immigration and Customs Enforcement’s (ICE), Diego was also detained — on the same day as his prom and just days before his graduation. According to NBC New York, Diego went into hiding at a cousin’s house in Ossining, New York, out of fear after his mother was detained by ICE. A picture taken by Diego’s family shows ICE officers standing outside the home smiling and laughing. NBC New York also reported that Diego and his mother, who both fled Ecuador due to gang violence and moved to the United States in 2014, had been taken by ICE stemming from a 2016 court order to have them removed. Gabriela said her aunt and cousin had no idea they were ordered to leave, because if they had, they would have appealed it. “He came here to start a new life, and now he’s going to have to go back and start all over again,” Macancela told NBC New York. Luis Yumbla of the Hudson Valley Community Coalition told WNYC that Diego should not have been taken in the manner that he was. The Hudson Valley Community Coalition started a petition for his release and fundraiser for Diego. U.S. Representative Nita Lowey of New York also sent a letter to ICE asking for the release of Diego and his mother.